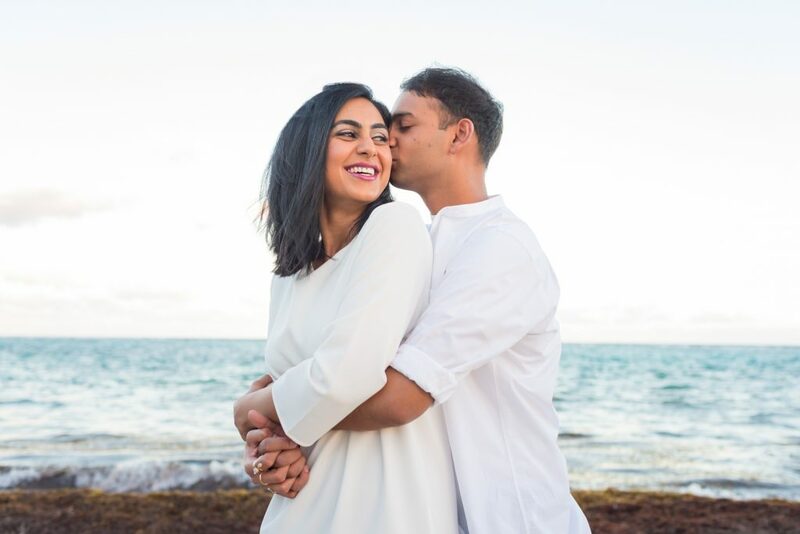 Shazeen and Neil are basically family and while attending (and photographing) Jasmin & Imran’s Antigua Destination wedding in November, we thought it was the perfect time to get together with this beautiful couple for their own session and some Antigua engagement photos. 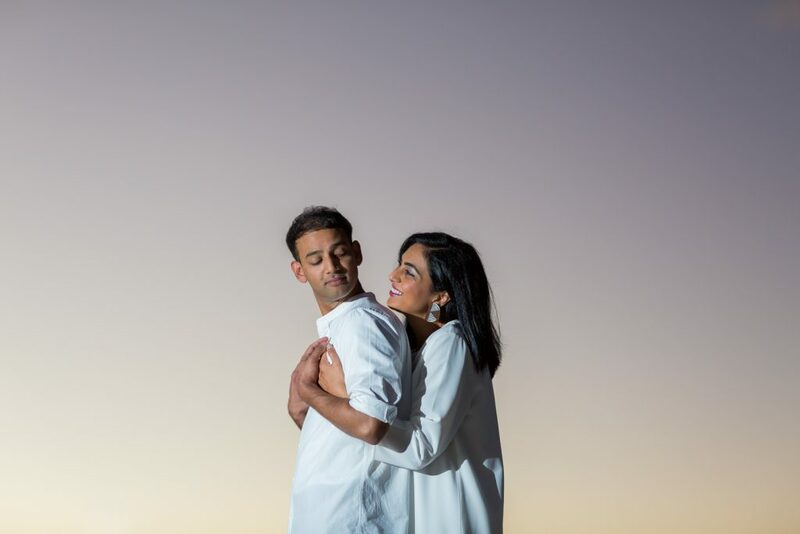 Shazeen is the sister of Imran (who married Sunny’s sister, Jasmin) so for the sake of complicated familial relationships, her and Neil and family. 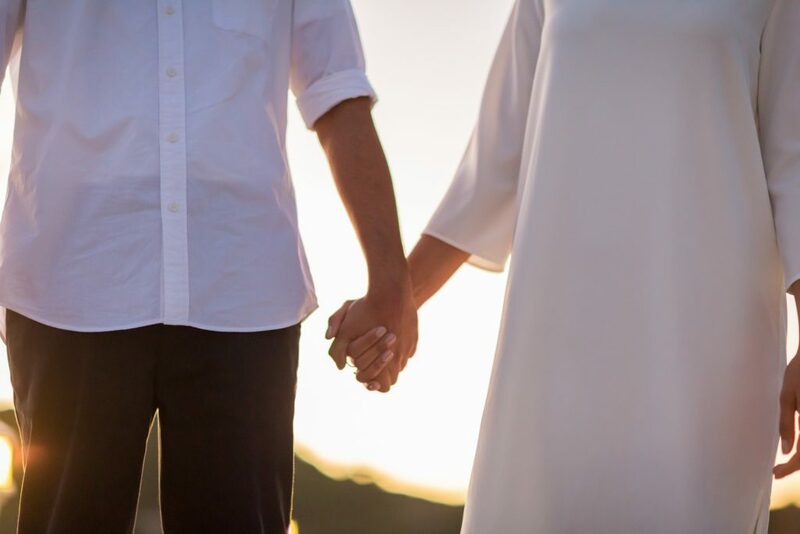 We knew from the first time we met these two that their love for each other was something special. 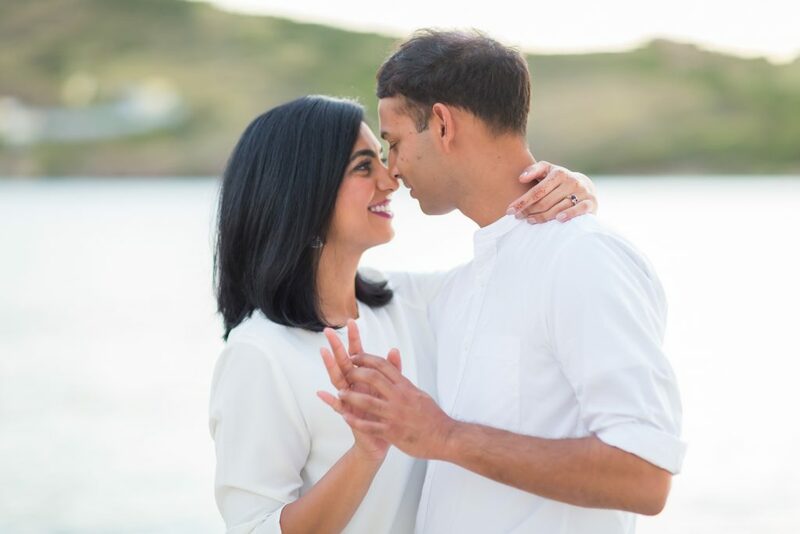 We have had an amazing time getting to know Shazeen and Neil and we could not be happier for them and their families. There is a lot of love going around and this family is only getting bigger and better. 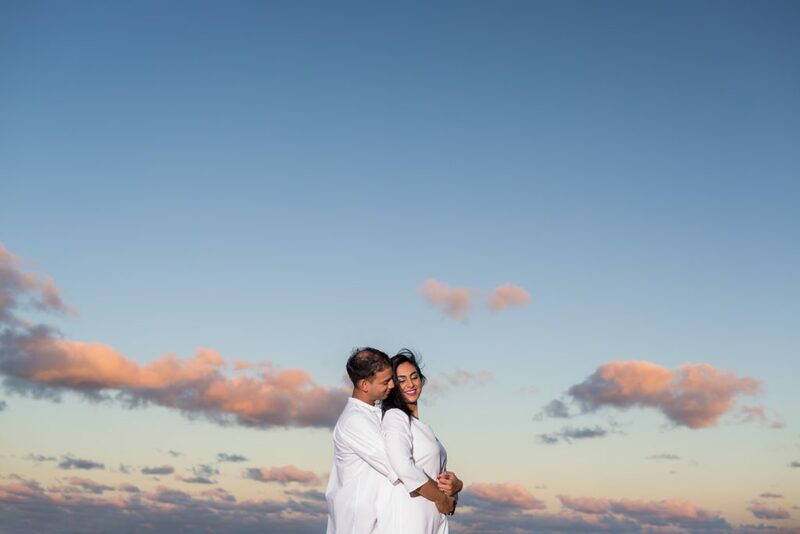 It was a beautiful Antigua evening when we met up with Shazeen and Neil for their destination engagement session. The bright blue skies were just starting to fade to pink and orange as we strolled along the beach and caught up with the sunset. We love shooting in new locations and exploring exotic destinations. 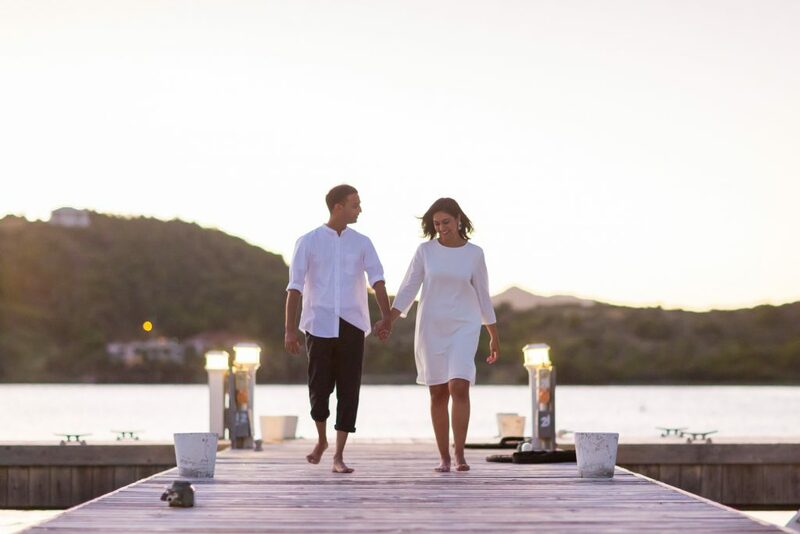 The St James Club Antigua is a gorgeous destination with warm waters, white sand beaches and the most romantic sunsets. 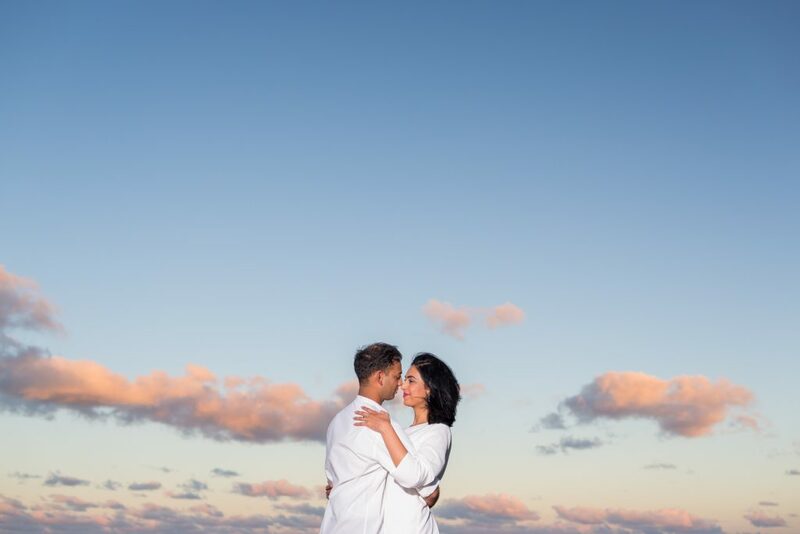 Shazeen and Neil, thank you for inviting Deep Blue Photography to capture your gorgeous Antigua engagement photos!